I’m sure you will enjoy this, but remember how I had called you and you found a firm that set traps and tried to catch whatever was eating my garden? I think it was like Enviro Care or Bio Care…something like that. Well, after they left at the end of a week’s time, the animal that was destroying my garden struck again a few times. Basically ruined my garden!! So I thought I could trap the animal myself and then remove it to somewhere far away. So I bought a Havahart trap and set it this weekend thinking I could catch the woodchuck (what I swear is eating my garden). I did just what the company you sent us did and put the trap into a contractor garbage bag so the critter wouldn’t know what it was and stuffed it with ripe cantaloupe. If I caught the animal, I was sure I could take it somewhere far away. Well, I caught it. I caught something. I think it is a woodchuck, but can’t really tell because I can’t get the trash bag pulled down far enough to see it. I saw a paw only and that was enough to freak me out. It was a paw with yellow-like claws…sickening. I am not man enough to get the rest of the trash bag off and then take the trapped animal to a new place very far away from Glen Road. The paw, claw and the smell (a dirty smell; not a skunk smell at all) were enough to set me free. I can’t do it. Is it possible to call that company again and have them come get rid of the animal? I would like to get my trap back and keep setting it and then be able to call them to get rid of whatever I catch if that is ok with them, so let me know their number and contact information again after you call them. Sorry for this, but I thought I was tougher than what I turned out to be. 🙂 If this company can come and remove the animal far away and then bring my trap back, that would be great. I’ll set the trap again so if I have their number I would like to call if I catch anything so they can come again and remove it. This will save them some time and help me grow a garden. Let me know what they say. The trap picture above contains the critter. The person from the removal company did come back very early on Monday morning and moved the animal in the trap to a new location far away. He confirmed to me that it was Woodchuck. 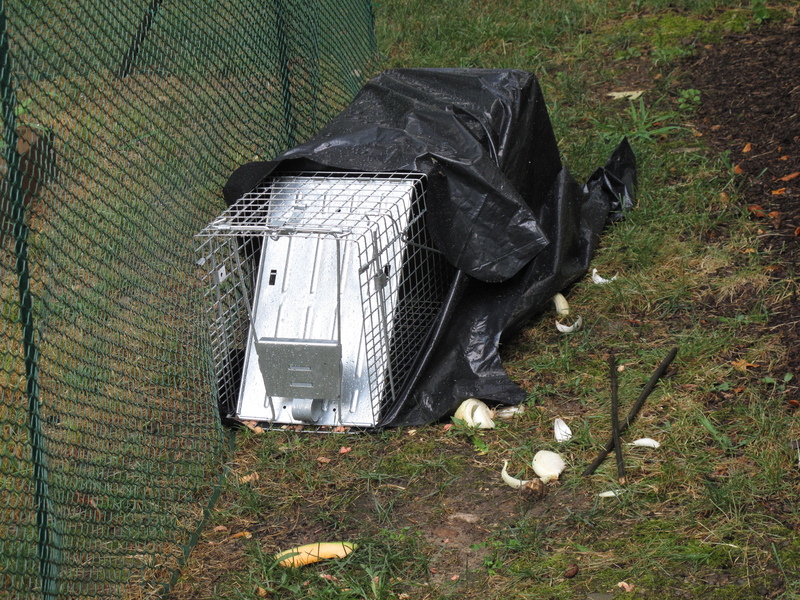 My trap is now reset in its same spot in case any Woodchuck family members decide to come and feast on my garden. You want to know the truth? While I am glad that my garden may be able to grow a little during the rest of the Summer, I feel bad about trapping and moving Woodchuck. Woodchuck was a part of Glen Road just like I am. Maybe he should have been able to stay?? I guess Woodchuck should have planted his own garden to eat and then things would have been fine….or would they have been? This entry was posted in Gardening, Life, Nature, Wildlife and tagged Acorns, Blog, Entertainment, Fun, Gardening, Humor, Life, Lifestyle, My Life, Nature, Photos, Summer, Thoughts. Bookmark the permalink. We moved one recently, too. Crazily enough, he managed we are quite certain, to begin visiting a good friend of mine. He remains at large, but is still making productive forays into her garden. Don’t feel bad. 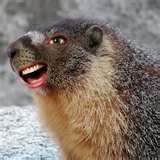 Once there has been one, groundhog, you can be pretty sure there will be another by and by. Hi Diane. Welcome to Acorns On Glen. The new home of 24-hour woodchuck reporting. Woodchuck has really added some excitement to our home life here in CT. I hope my catch was driven far, far away and won’t harm anything else….especially in the yard of someone I know. I have my trap ready to go if any of his family pays a visit. I’m as ready as I’m going to be. Come back and visit soon.